Do you know who Juliette Gordon Low is? You may be thinking I don’t know, and she is probably not even important. Well, that’s incorrect. Juliette Gordon Low or JGL is a very important person, especially to girls around the world. JGL was the founder of the Girl Scouts. When JGL was young, her uncle gave her the nickname of “Daisy” which is why the first stage in Girl Scouts is called Daisies. Girl Scouts is a leadership organization that builds girls of courage, confidence, and character. JGL started Girl Scouts because she wanted to make the world a better place. 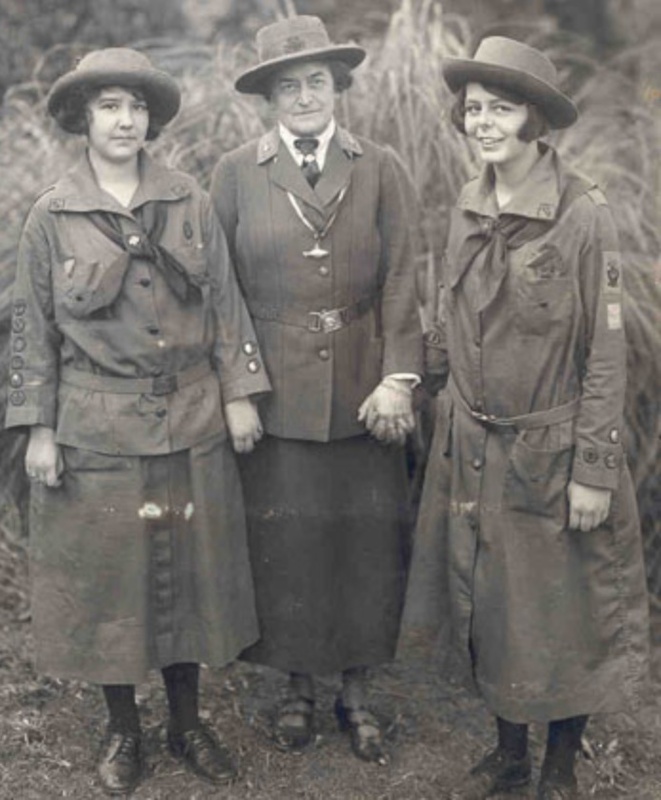 While JGL was traveling the world, a man named Sir Robert Baden-Powell told her that a group called the Boy Scouts was starting, so JGL traveled back to Savannah to start the Girl Scouts. In her first meeting, there were 18 girls. The first Girl Scout was her niece, Margaret. Daisy was born in Savannah, Georgia, on October 31, 1860. Yes, she was born on Halloween. JGL’s father’s name was William Gordon Low and he fought in the Civil War. When he came home sick or injured, Daisy took care of him. Her mother’s name was Natalie Kinsey Gordon. She was born in the North but stayed in the South to be near her husband during the Civil War. JGL married William Low on December 21, 1886. They were married the same day as her parent’s anniversary. When Daisy was young, she had a sharp pain in her ear. It turned out that she had an ear infection and ended up becoming deaf in that ear. At her wedding, people were throwing rice to celebrate, one piece got stuck in her good ear. She became deaf in the other ear too. Once she founded the Girl Scouts, JGL focused on wanting to give girls somewhere to learn and grow through helping others. 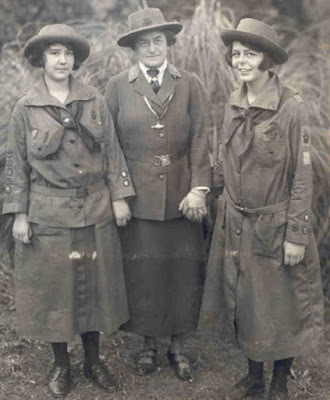 During World War I, Daisy always wore her Girl Scout uniform and told the President the Girl Scouts would help. The Girl Scouts made food for the soldiers, made Christmas packages for them, and helped the Red Cross. Sadly, one day Daisy got really sick with cancer. She passed away after the Girl Scouts opened their first camp. She died on January 19, 1927. She was buried in her Girl Scout Uniform as she wanted in Savannah. Today, Juliette Gordon Low is remembered and honored all over the world through Girl Scouts. Many Girl Scouts visit her Birthplace and Headquarters where the first meeting was held in Savannah. The Birthplace has her belongings, pictures and furniture. A visitor can see how she lived. Headquarters has uniforms, medals and awards from the last 100 years of Girl Scouts. Girls will always be inspired by her brave and bold actions she made on behalf of the girls in the world.